You truly can’t compete with the boost to curb appeal that flowers bring, but with living flowers those aesthetic benefits are brief. Flowers bloom for such a short period of time, and in many parts of the country, you’ll only manage to get one or perhaps two chances to enjoy the full beauty of the color of blossoms before cold weather sets in. On top of the fleeting quality of living plants, there is all of the effort related to care and maintenance to be considered. Living flowering plants require watering and in some cases fertilizing and pruning to keep looking their best. For many businesses and homeowners that brief pop of color that flowers provide just doesn’t justify the time and money spent caring for living flowers. That’s why more and more people are considering outdoor artificial flowers for displaying outside of their homes, hotels, restaurants, office buildings, shopping malls and other buildings. If you haven’t ever encountered commercial quality artificial plants before, you might be hesitant to even consider using fake flowers outside of your home or commercial building. After all, we’ve all seen fake silk and plastic flowers that look cheap and that fall apart if they’re simply touched the wrong way. It’s hard to imagine placing anything like that outside at the mercy of the elements or expecting those poorly made fake flowers to do much for the aesthetic appeal of an exterior. – Highly Realistic. The latest artificial flowering plants can’t easily be distinguished from the real thing unless they’re touched. – Ultra Strong. Materials like industrial grade injection molded polyethylene make commercial grade artificial plants durable enough to remain outdoors in all types of weather, through every season. – Fade Resistant. 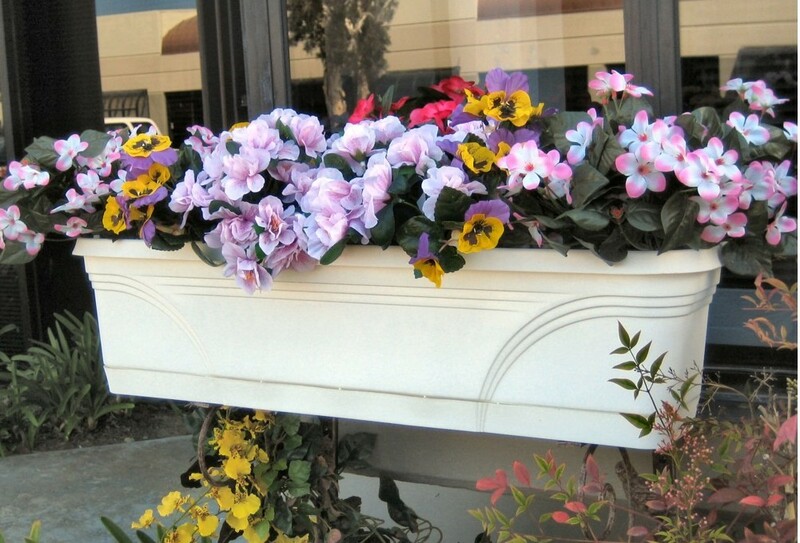 Inherent UV protection helps to keep commercial grade fake flowers from fading in the sun. The sun protection is actually embedded in the fibers rather than being sprayed on or applied to the surface of the artificial plants, so it can’t rub off or become washed away. – Faux Flowering Vines. Sold unpotted, artificial hanging flowers can be used to cover walls, ledges, railings and more. – Hanging Baskets. Available in many different styles and colors, hanging baskets with artificial flowers are ideal for dressing up posts, poles, entryways, porches, patios, courtyards and other outdoor areas. – Bushes and Individual Stems. 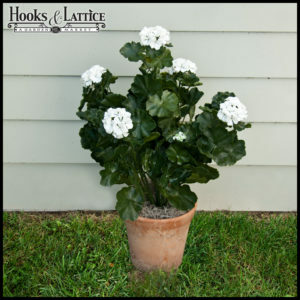 You can purchase artificial flowering plants in large clusters that resemble bushes and as individual stems. Place just one in a small planter of your choosing or make a large arrangement by combining several varieties of outdoor artificial flowers into one pot or planter. Artificial Plants Unlimited can help you boost the curb appeal of your home or business year round with the finest quality commercial grade artificial plants available. Browse our selection and discover all of the beautiful fake flower options to bring color to your exterior that won’t fade, wilt or ever require watering. 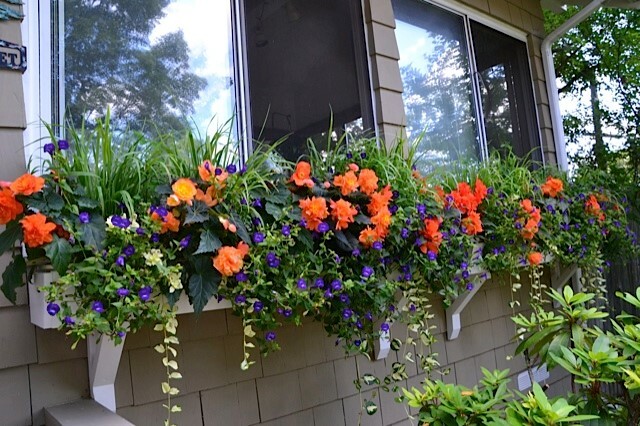 Considered a staple for moms and gardeners, hanging baskets have become to go-to for on-the-go flower-lovers who want to add a little color and curb appeal to their interior and exterior home décor. There are hundreds of hanging planters that you can purchase at major depots, but for gardeners, the real fun can be transplanting their own flowers into thriving hanging baskets of their own creation. In this article, we will offer you tips on how to care for and maintain your selection of hanging flower baskets, as well as information about different liners and helpful self-watering reservoirs. 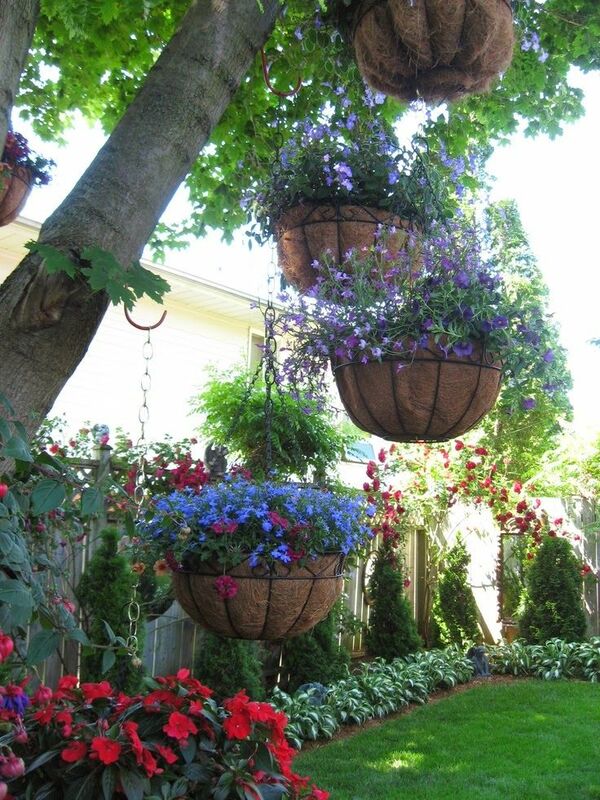 When perusing hanging baskets, you will find that there is an abundance of unique hanging flower planters to choose from. There are ones with French wire scrolling, ones that have been handcrafted from beautiful bronze or gold Greek brackets, ones that have been molded from hard moss…and hundreds of other options. The trickiest part will be finding the perfect one for you – one that matches the personality of your home, and yourself, while giving you the opportunity to build a flourishing, gorgeous bunch of your favorite flowers. Our advice? Go with what you love at first sight. This is one of those follow your heart moments that will come in handy because your first instinct is to pick the hanging flower planter that you will cherish the most. 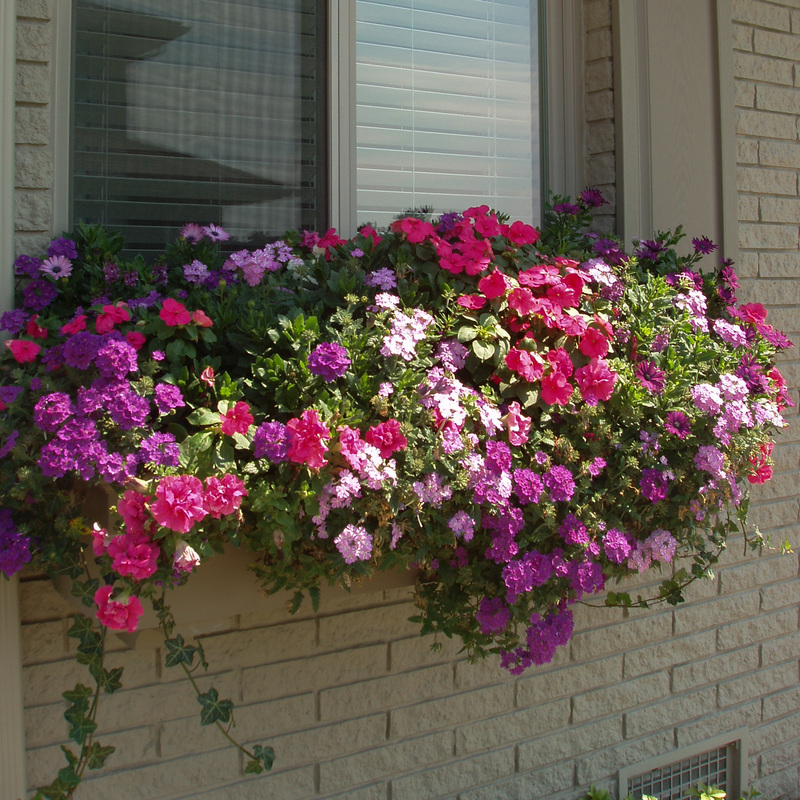 As many hanging baskets as there are, there are almost twice as many hanging basket liner options. We prefer the all-natural route of coconut coir liners, made from an organic concoction of coconut fibers and tree sap. Coconut coir liners are strong, yet fibrous, allowing roots from your flowers to grow deep, providing the best circulation of air to nourish and nurture your plants. 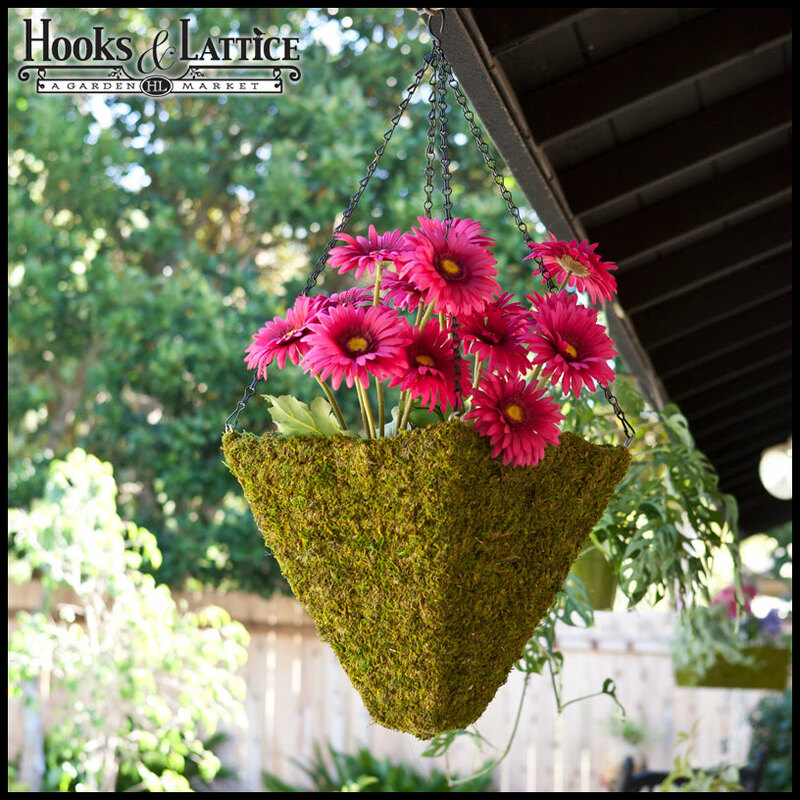 They are accommodating to a variety of hanging flower planter sizes and shapes, and each liner retains moisture for days after regular watering. 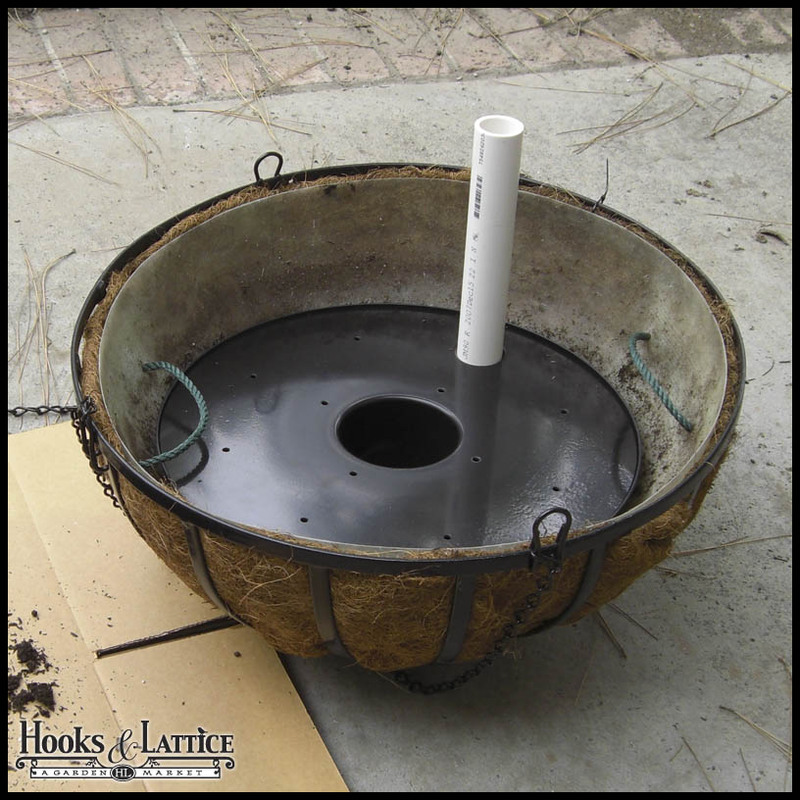 Hanging basket maintenance is more than just finding the perfect coconut coir liner, or snagging the best hanging flower basket, a self-watering reservoir could make all the difference. For on-the-go gardeners, self-watering reservoirs will keep your soil moist when you don’t have the time to nourish your hanging basket plants. You simply fill up the fill tubes with water and leave it be for a few days. A 6-inch single self-watering reservoir can maintain an 18-inch hanging flower basket for up to 3 days at a time. 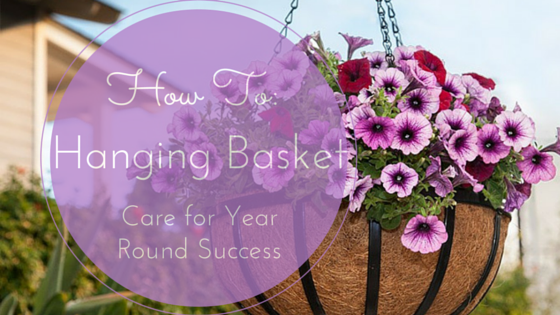 Caring for the blossoms that are blooming in hanging flower baskets requires time. Not as much as gardening vegetables, mind you, but there is definitely an art to growing beautiful flowers in mid-air. Start a beautiful hanging garden today! The Valencia Hanging Wall Lantern and Hook Set can make your outdoor living room more cozy. 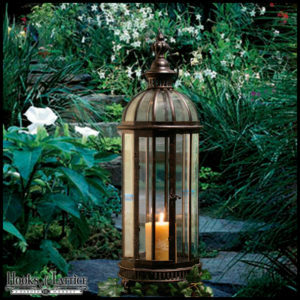 Antiqued Gold Gazebo Hanging Lantern makes a great accent lantern for outdoor living areas. For the Corner. Is that one corner in the living room’s emptiness painfully obvious? A freestanding terrarium can transform that spot into a stunning indoor garden. An elegant design like the 58″ Tall Freestanding Wardian Terrarium Case will bring sophistication to the decor of the room where you entertain guests, and as an added bonus, you can be sure it will become a conversation piece. Everyone will want to get up close and marvel at your lovely garden. Hammered Hurricane Terrarium can be easily personalized for the seasons with the use of different materials in the bottom. 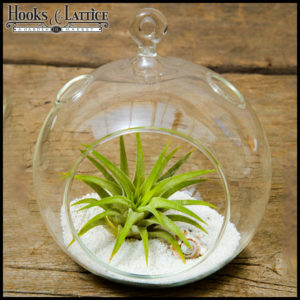 Small English Style Terrarium is perfect for summer tabletop centerpieces. 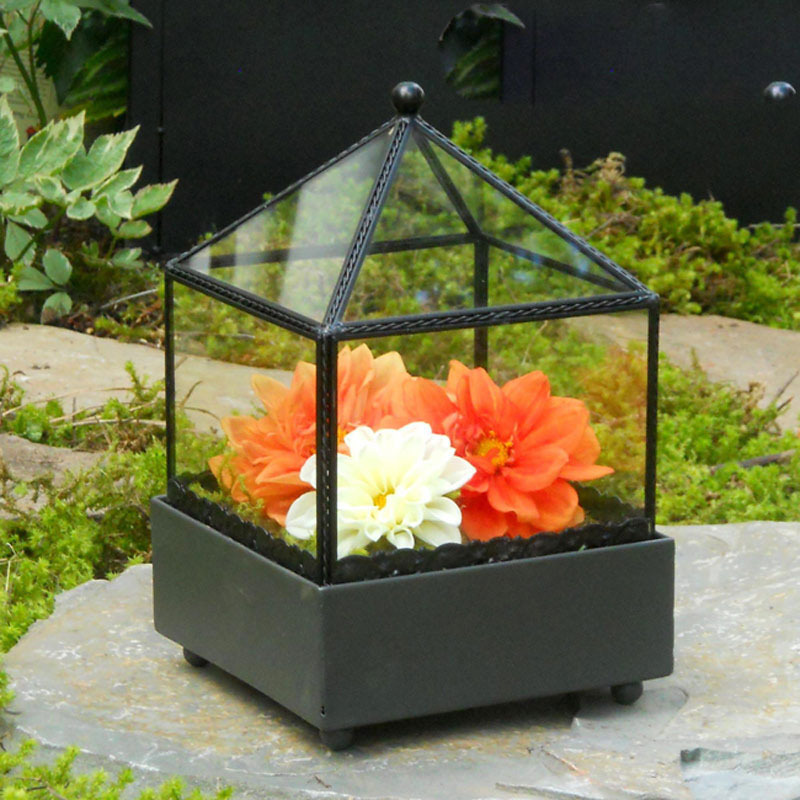 Not only are these lantern and terrarium ideas the perfect way to fill up those empty spots in your home, but they’re also great for Mom’s house. 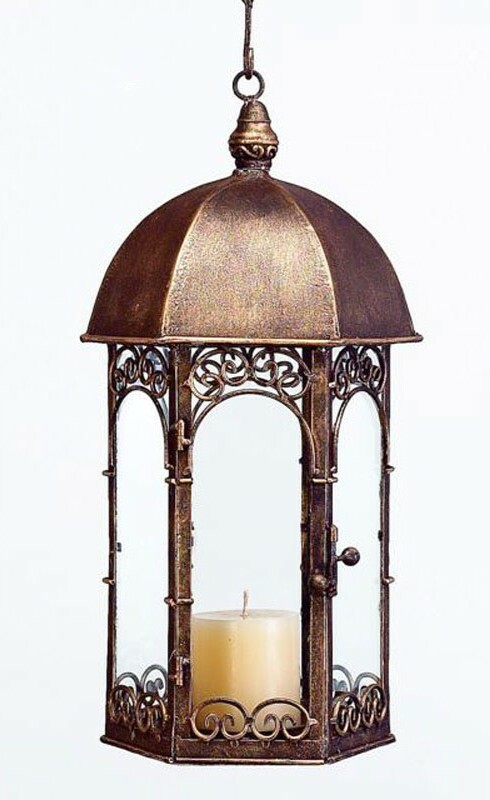 Check out the selection of lanterns and terrariums at Hooks & Lattice to find the perfect pieces to spruce up your decor and get your Mother’s Day shopping managed at the same time. How do you like to arrange and decorate your terrariums? Share your wisdom in the comments below. Shop our full collection of terrariums and other home and garden accents HERE. The Medallion Window Box or Liner! Window boxes are getting more popular by the day and for good reason! They are the perfect solution for adding a sufficient amount of curb appeal to your home with minimal effort. 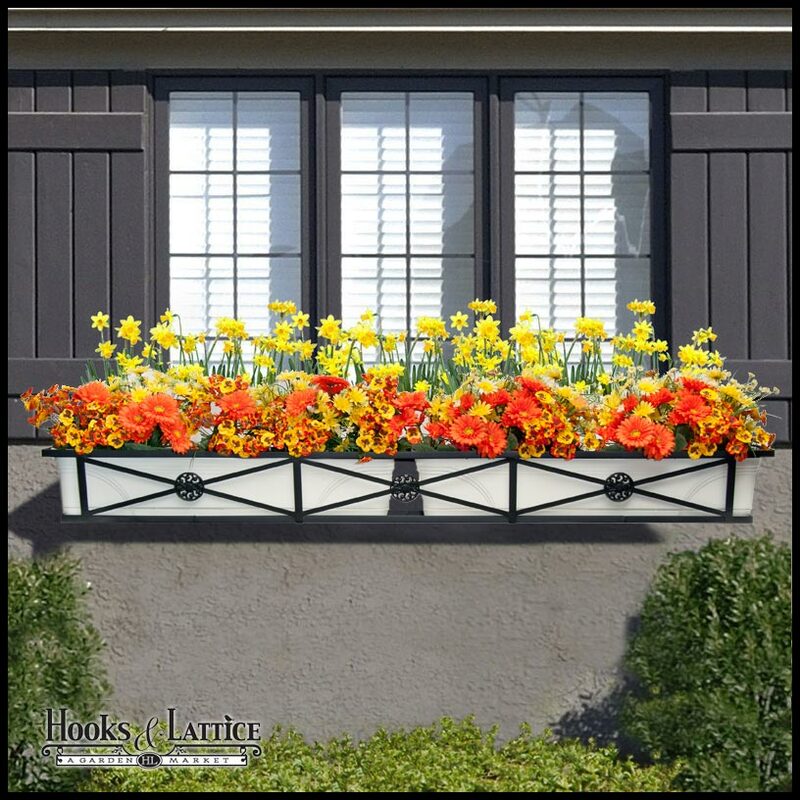 What makes this window box so unique from the rest is that it is made of the highest quality rolled rimed PVC to bring it great stability so it can be hung and used multiple ways. This is the Medallion plastic window box/liner. This versatile window box isn’t the typical plastic “window box” you can buy at the local hardware store. Made from one of the most durable plastic, this PVC flower box is strong enough to be a window box liner as well as a standalone window box. And with the strength of PVC you also will get its resistance to fading so you can trust the color will be the same this summer and summers to come! The Medallion window box or liner also features a removable drainage tray so you don’t have to worry about water overflowing. Below are just a couple of the many ways you can incorporate this lovely window box into your homes’ decor. Hang the Medallion window box on its own for a more simplistic look. Put multiple Medallion window boxes in a window cage to make an interchangeable curb appeal solution. 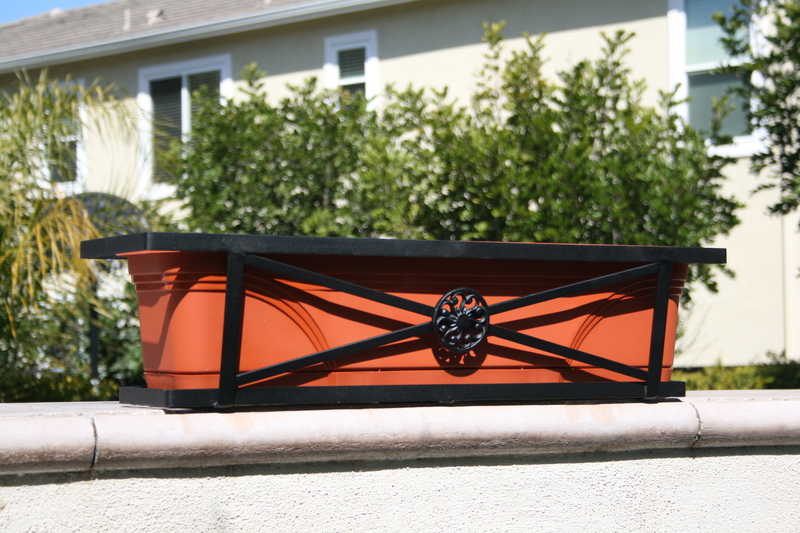 With brackets, you can put your Medallion window box almost anywhere! 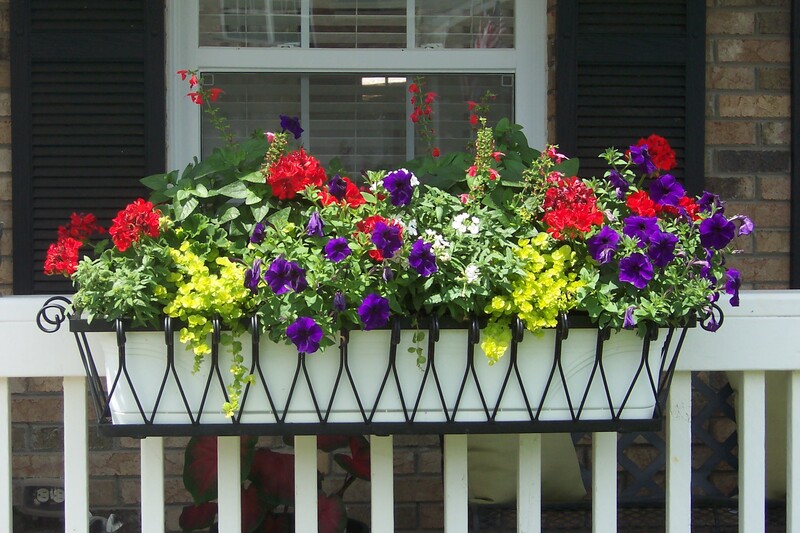 Transform a window box into a deck rail window box and add beautiful summer flowers! Use the Medallion Window Box on your balcony wall. Shop here! The Medallion window box is the perfect container gardening solution for the curb appeal enthusiast or gardener on a budget. If your one of the many that either rent or have little to no outdoor space, this multi-functional window box is the perfect fit for you! You’ve waited all year to find out who the winners of the Window Box Contest for 2014 are and we have them for you! After much deliberating and deciding who should be granted the best window boxes in America, we’ve finally come to a decision. Check out the winners below, then formulate your 2015 photo contest takeover. The transformation from the beginning of the season to the height of the season is just miraculous! Janet did a wonderful job making her grey patio into something that is just as beautiful as the forest behind her patio fence. 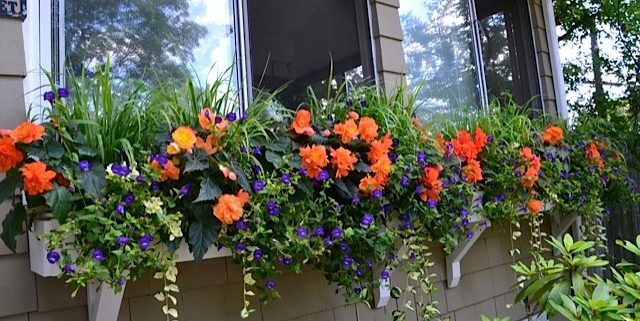 Putting six flower window boxes on top of the rail creates a living wall, if you will, of falling vines and blossoming flowers once fully grown. Great job! 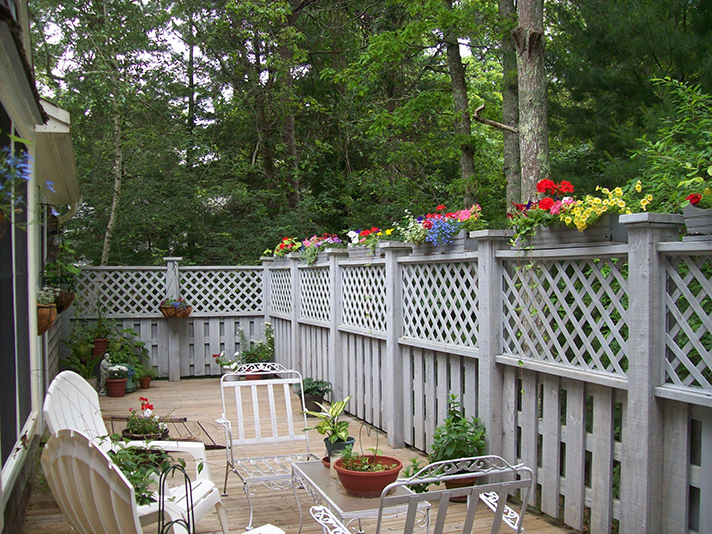 Jan’s scalloped wood window boxes make a big impact on her deck. We must say that this has to be one of the most well thought-out home improvement projects that we’ve had the pleasure to witness. Kevin and Annette updated their entire home from top to bottom and not forgetting about the middle, added ten black window boxes to their home, garage, and shed. Using black Presidential style window boxes that match their newly painted shutters and updated roof, they contrast perfectly against the light exterior of their home for a complete transformation. 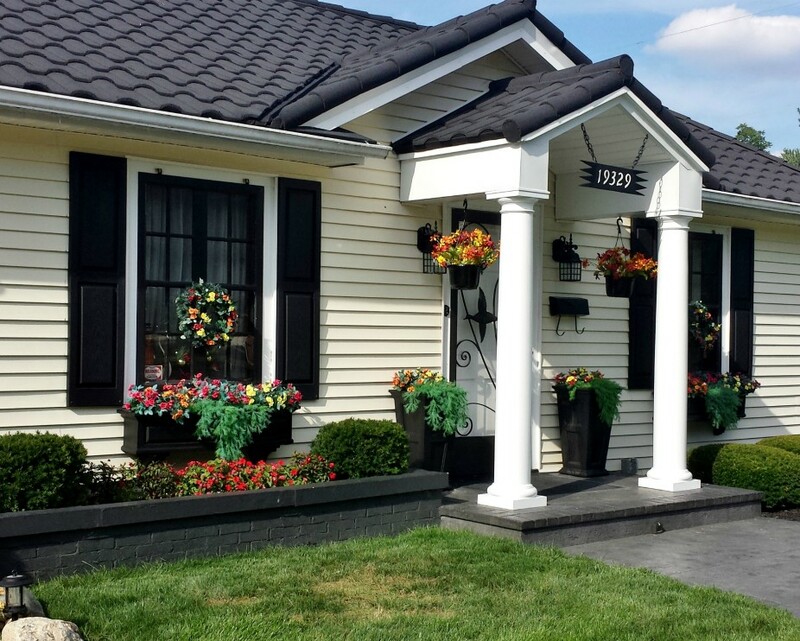 The Klingels black window boxes and matching shutters are a curb appeal knockout! Cathy did a fantastic job getting creative with her living wall planters! 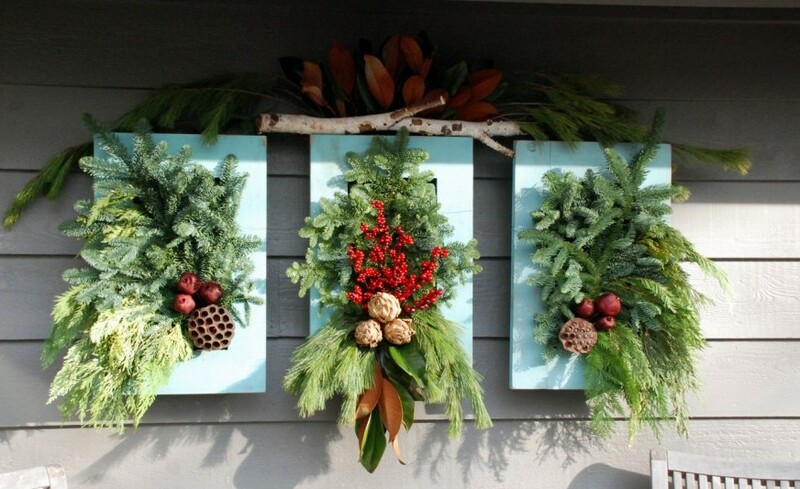 Filling a vertical wall planter, which once had succulents in it for summer, she used winter evergreens for a festive holiday look and placed these three light blue planters on a large wall of her garage that doesn’t have a window, so she improvised and made her own accent living window. Just as a window or piece of art, these vertical wall planters bring life to what was once a boring wall. Show Winter who’s boss – Add evergreens and pine cones for a festive display. These window box planters were definitely a favorite among everyone. With large blossoms of Violets, Begonias, and Diamond Frost Euphorbias, these window boxes are definitely the center of attention on Julie’s street which just so happens to be Flora St. As that may be a coincidence, it is not by coincidence that these window boxes won the People’s Choice as these window boxes were without a doubt, the most plentiful and beautiful. White window boxes set the stage for begonias, violets and euphorbias. Now that you’ve seen just how beautiful the best window boxes in America can be, it’s time to make a plan for 2015. 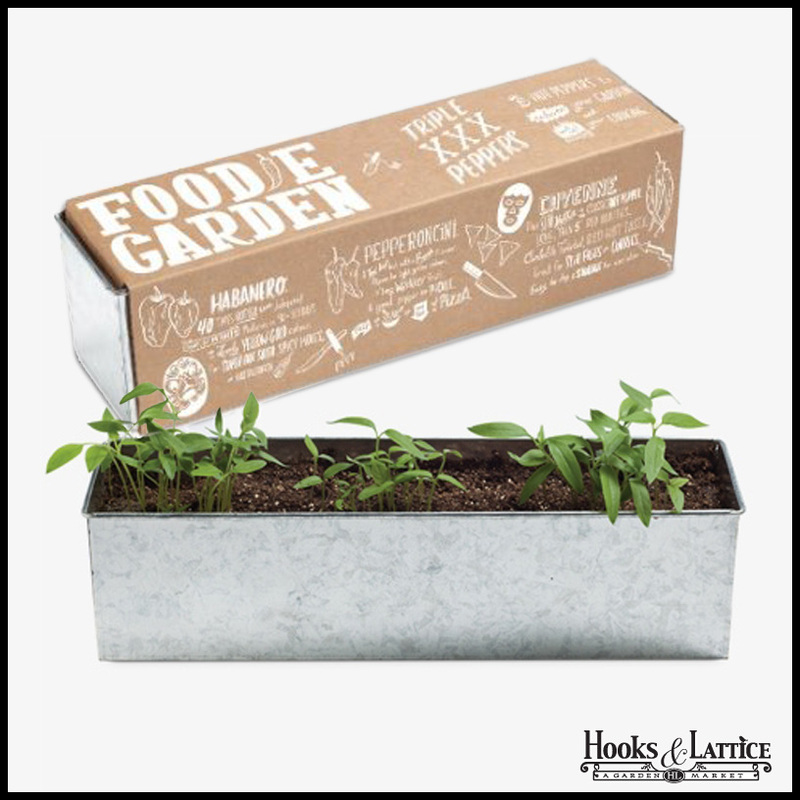 Even if it’s cold outside, you can get started now on a window garden that can win you awesome prizes, gift cards, and special promotions from Hooks & Lattice. 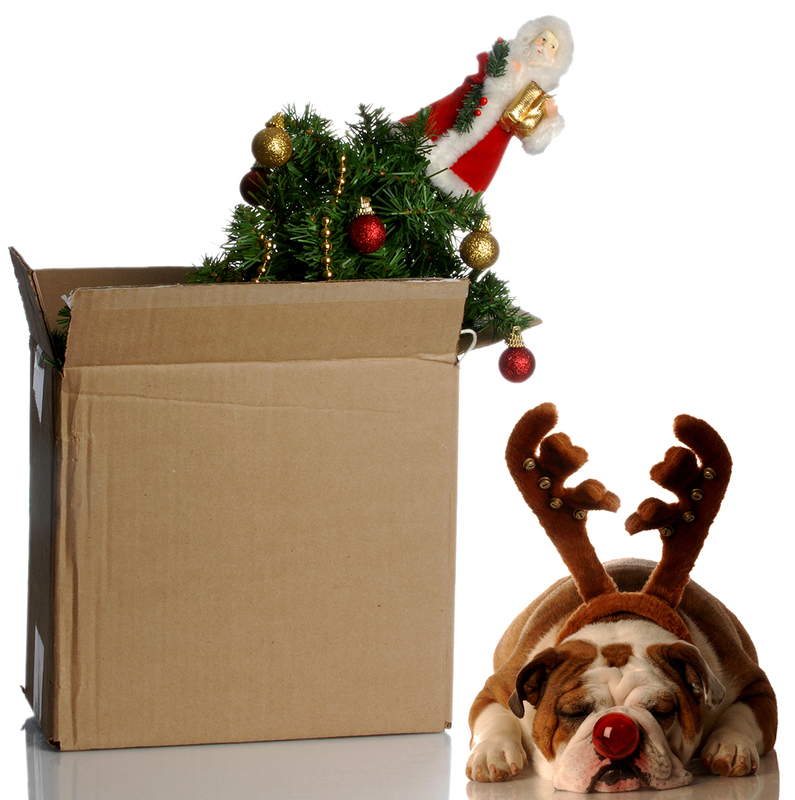 This year’s winners have already started their shopping sprees, entering is easy. After you entered and your post is featured, the more you share and tell your friends the more likely you are to win. This contest doesn’t just reward amazingly beautiful window boxes – it rewards gardening socialites! So enter away or simply contact us with questions or for assistance choosing the best window box planter for you. It’s that time of year again, the time for making resolutions. Whether your resolutions are to get to the gym more, go to sleep earlier, or save more money, we’ve complied a couple resolutions that will still fall in line with the classic ones and a couple that that will be trending in the New Year. Get outside more. Take a walk around your building at lunch, walk around the block with your family after dinner, or do a little spring prep in the garden to ensure for a prosperous garden come springtime. Try container gardening if you’re in a region of the country where it’s just too cold to be outside right now. 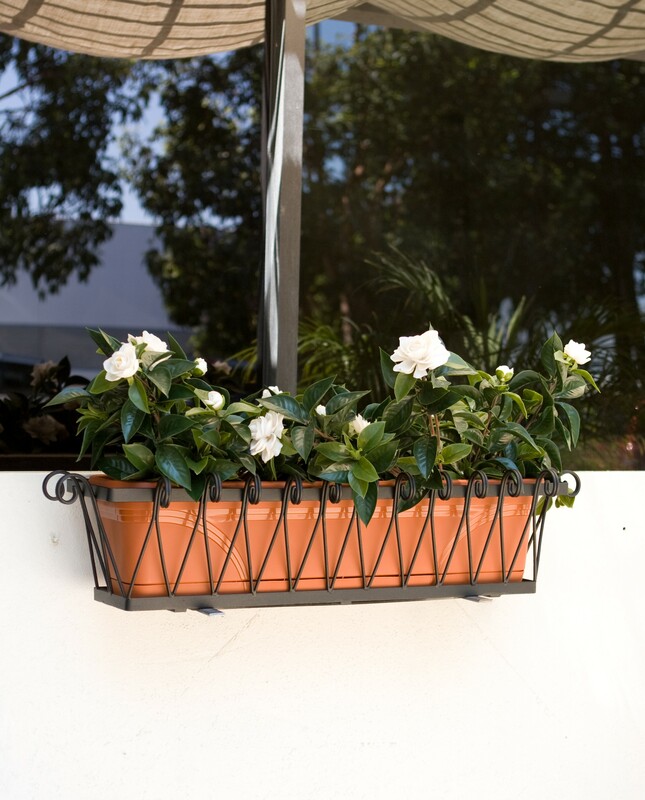 Window boxes with a cleat hanging system make perfect containers for small space gardening. Plant whatever your heart desires (keep in mind the small space), keep the box inside until it’s warmer outside, and then hang it below your window once it’s warm enough outside. Click Here to find out When and How to Start Seeds Indoors. 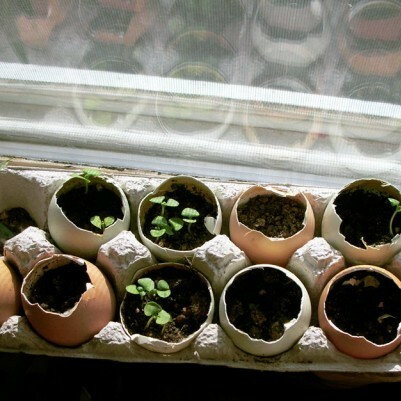 Do-it-yourself seed starting in eggshells! Image from Hew and Sew. Use new gardening tools. If you’re an avid gardener or you’re just starting out, gardening tools are you best friends. Start off the New Year with new gardening tools. They’ll be all clean and shiny and you’ll want to get in the garden and yard ASAP to break them in. This is also a great time of year to order your garden trellises so they’re ready to use when you buy plants in the Spring. Sign up for our email list and we’ll deliver can-do curb appeal tips right to your inbox! Improve your home’s curb appeal. This is a biggie. You’re lucky if this can be accomplished in one afternoon, but for the rest of you, this will be an ongoing but incredibly rewarding project! All it takes is some motivation (like seeing a gorgeous house on Pinterest), dedication, and a plan. You can improve your home’s curb appeal by simply mowing the grass, trimming the grass along the sidewalk, and pruning bushes and trees. But if you really want to differentiate your home from all the other houses on the block, think about installing exterior window shutters, window boxes, or flanking your front door with planters with tall topiaries. Click Here to meet Sage, she’s our curb appeal expert. Follow us on YouTube and we’ll let you know when she has her next curb appeal tips video! Try new plants. This may seem daunting as you are probably very comfortable in your current flower/plant situation. But isn’t that was the New Year is all about, trying something different? Add a more colorful arrangement of flowers to your planters, mix it up with different heights and densities of plants, and plant some veggies that you’d like to cook up later to go along with the next resolution. Eat healthier. This one can be a little difficult for those of you that work from sun up to sun down but there are small and also very affordable ways you can make small changes that will make a huge difference later. You can grow your own herbs in your kitchen. I mean, come on, who doesn’t love fresh basil and mint? With container gardening, you can even grow mushrooms, tomatoes, and micro greens right on your countertop. Click Here to view seed starters and tabletop grow boxes. This should spice things up! Save more money. Isn’t this something everyone strives for in the New Year? You can accomplish this multiple ways this year. Save money on your water bill by using planter reservoirs in your pots and hanging baskets so you never need to worry about over or under watering your plants. You can also save money on your water bill by planting drought-tolerant plants that naturally require less water. Dramatically reduce your grocery expenses by growing your own herbs, veggies, tomatoes, and lettuce. You can even plan ahead and start growing your own lemon tree for delicious citrus in the coming years! 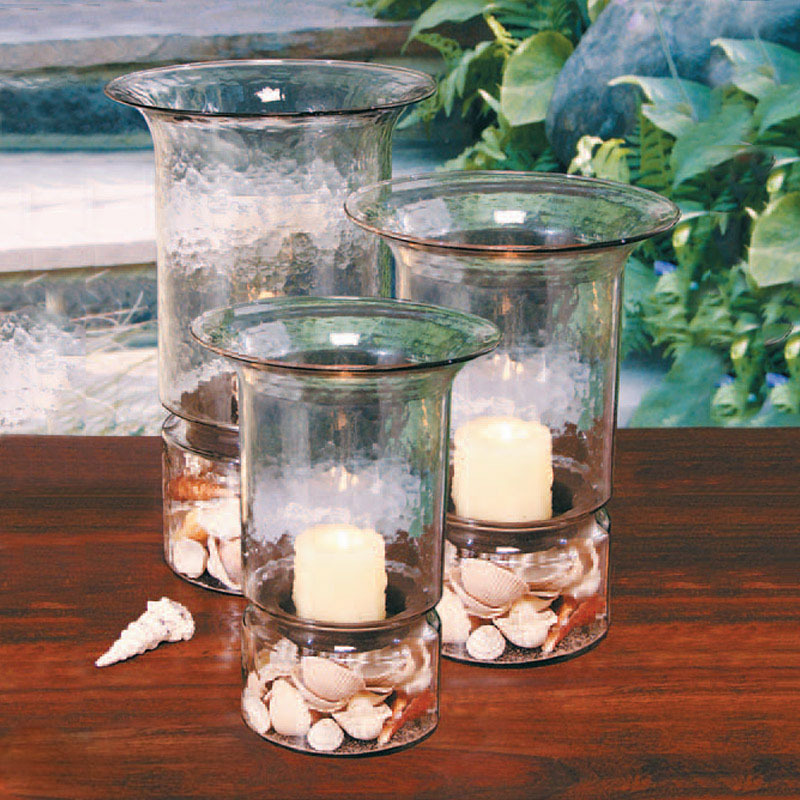 Click Here to view planter reservoirs. Use window planter reservoirs for container gardening success. 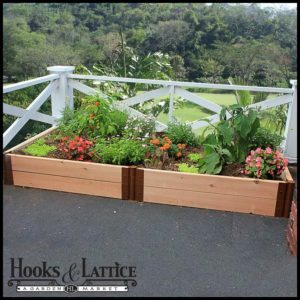 You can shop all of these great gardening solutions at www.HooksandLattice.com, or simply pick up the phone and call us for guidance: 1-800-896-0978. Early snowfall doesn’t stop this Great Lakes Region school from getting involved! What do kids know about food? A lot more, these days, thanks to Farm to School Programs. Educators nationwide are helping young people to break free of the kids’ menu mentality. No more chicken fingers, fries and fish sticks – we’re talking real, garden-fresh, local and seasonal ingredients, farm to table style. It’s National Farm to School Month, everybody! food [noun]: any nourishing substance that is eaten, drunk, or otherwise taken into the body to sustain life, provide energy, promote growth, etc. More than one-third of adults in the USA are obese. This is where Farm to School Programs come in. Getting American kids on the right nutrition track early in life means less bad habits to bust later on. You can start big or small – try seed and herb growing kits for an easy start! Remember that overwhelming grocery store aisle we were talking about earlier? The idea is to give kids the tools necessary to make smart, nutritious meal decisions while bypassing the neon orange stuff. 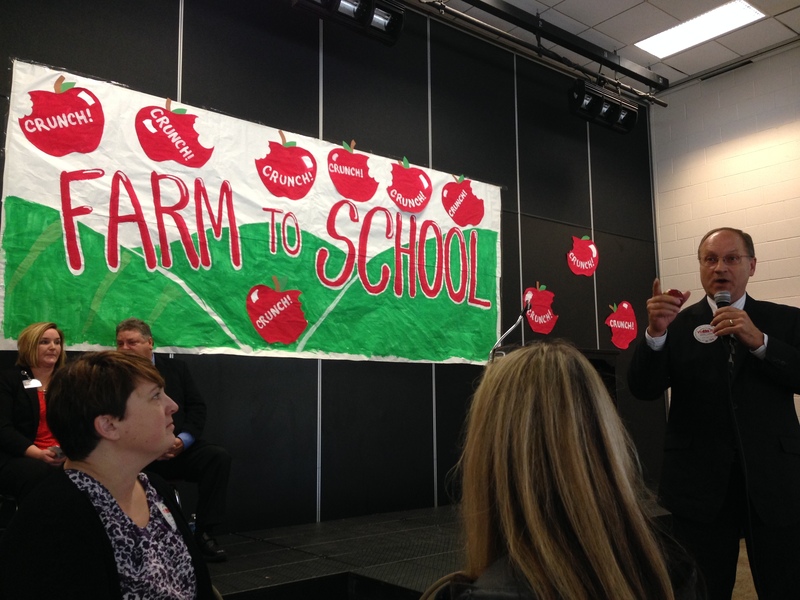 Education and community outreach is the essence of Farm to School Month and the movement overall. Each region is different, and both public and private schools are encouraged to build out initiatives that make sense for their students, teachers, districts and communities as whole. This can include everything from student-tended gardens and visits from local growers, to fieldtrips to the farmer’s market and crafting school lunches around seasonal ingredients. This allows children to create an up-close-and-personal relationship with the food they eat, empowering them to make informed, healthful decisions. The easiest way to start growing your garden at home is with raised planter boxes with liners. Children take what they learn home with them. Parents and teachers see it every day. Remember when your first-grader demonstrated how to take a sip of milk and shoot it out of their nose? Let’s make sure that same 7-year-old knows their milk bubbles came from healthy, hormone-free cows at a local dairy (or at least from a cow!). That’s the sort of knowledge that rolls up to siblings, parents, and then families and communities as a whole. It feeds young bodies and minds while bolstering local economies and the environment. Want to get involved in Farm to School Month from home? Make your yard, patio or balcony an extension of the food knowledge your kids are gaining in class. Container gardening on any scale is a great lesson in growing herbs and other edibles. For small spaces try window boxes and railing planters. If you have a yard, traditional ground beds are great, or try raised garden plots to grow and harvest fruits and veggies right outside your back door. Starting a garden is a fitting way to show your patriotism this Fourth of July. That’s right, fresh grown veggies and fruits are the very reason Cobb Salads and apple pies are so American. And, it just so happens, planting food for freedom is part of our nation’s history. During the first half of the twentieth century, as our nation was entangled in World Wars I and II, growing fruits, vegetables and herbs was actually a part of the war effort. These civilian contributions came to be known as Victory Gardens. By producing food locally, communities were able to subsist on their own harvests while easing demand on the national food supply. Plots ranged from small raised bed gardening on urban rooftops, to large suburban yards and rural fields. According to The National WWII Museum archives, at the height of the Victory Garden during World War II, there were more than 20 million individual plots operating across the USA. Now that’s what we call patriotic produce! 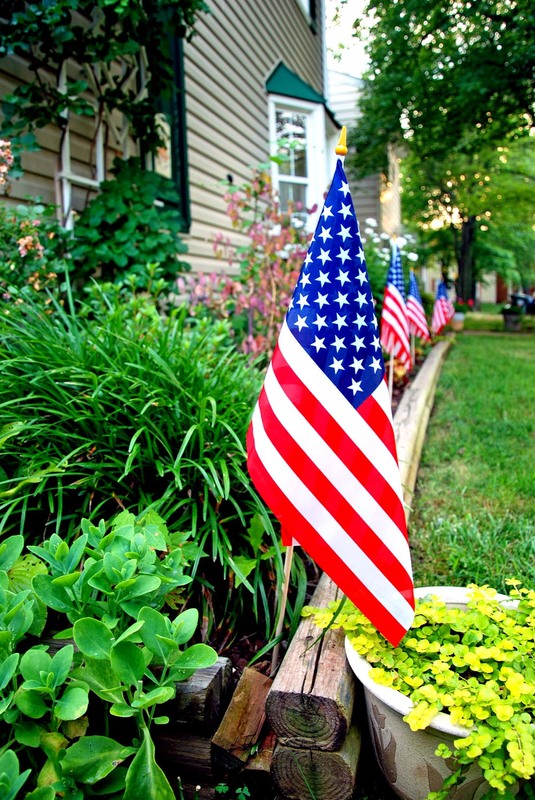 Make your victory garden even more patriotic by lining beds with American flags. While container and vegetable gardening obviously did not win the war outright, communities banding together for the common good rightly demonstrates the American Way. While soldiers sacrificed to fight battles thousands of miles away, their families were at home helping to free up food supplies needed overseas while boosting civilian morale. In peacetime, the same idea of better living and stronger communities rings true. Things have changed a lot since the Victory Gardens of WWII, but the lingering sentiment is just as relevant today. When we have access to our food source and understand its workings, Americans emerge empowered. Today, nearly 70 years since the Second World War ended, the United States has undergone rapid changes in the way our food is produced, packaged and sold. While supply shortages are no longer a concern as a direct result of war, our country faces new struggles tied to sustenance. As evidenced by childhood and adolescent obesity rates that loom higher than ever (see: Centers for Disease Control and Prevention), many Americans have gone astray when it comes to basic nutrition. When did we lose touch with what we put on our meal table? Many claim the reason behind this quandary is simple: Limited knowledge of or connection to our food sources. Detachment leads to choices based on what is available and affordable, even if that means frozen and processed goods with little to no real nutrition. But what if we could change all that and put American communities back in touch with agriculture and the food they eat? Several community-based and grassroots movements are aiming to do just that. The Victory Garden Initiative is one such effort, citing in their mission statement that, “When everyone is a farmer, we will have a socially and environmentally just food system.” Kind of like farming for freedom. Working to ensure there is fresh and wholesome meals on the table at breakfast, lunch and dinner is about as American as it gets. And on no day is this more apparent than July 4th. This summer, though, rather than relying fully on big box stores for mealtime ingredients, show your local farmers a little love. Or, better yet, grow your own! To get started on a small scale, raised bed gardening in cedar or redwood is a great way to go. It works anywhere, from the back yard to a downtown rooftop. Also, check out some tips tied to the modern-day Victory Garden, courtesy of the aptly named PBS program. 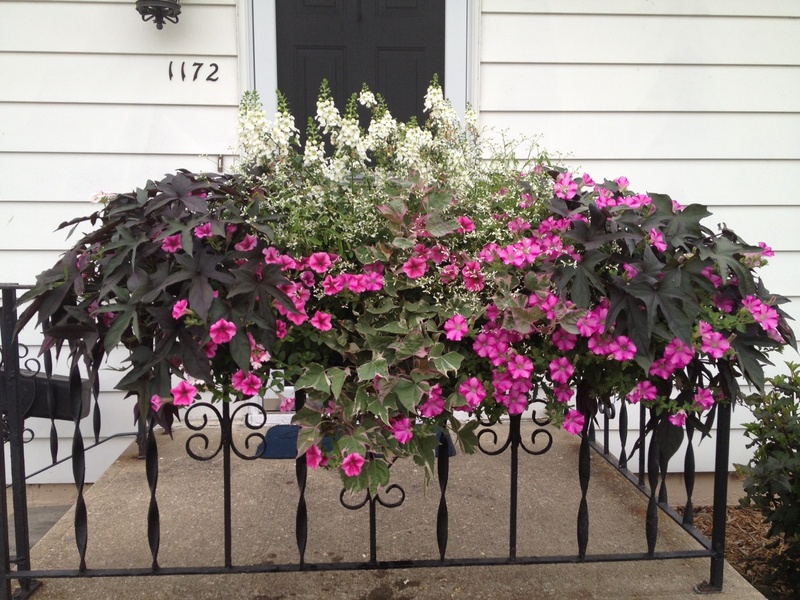 Results of the 2013 Window Box Contest Are In! Love to admire gorgeous railing and window planters teeming with botanicals? You’re not the only one! 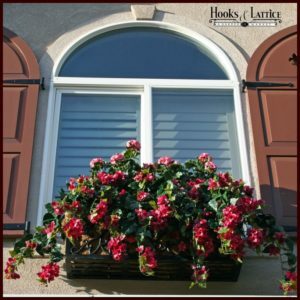 It’s this appreciation for the best window boxes and flower arrangements that makes Hooks & Lattice so proud to sponsor the nationwide Window Box Contest each year. Today, we congratulate the 2013 contest winners across four categories. Additionally, to all entrants, we warmly thank you for participating. Each contestant serves to grow our online community of passionate container gardeners. And it’s our belief that the more beauty and inspiration there is to go around, the better. Now, the moment we’ve all been waiting for – it’s time to announce the victors! Our first category was ripe with competition last year. But in the end, Stella Anastasia’s “Seeing Red” arrangement proved simply irresistible. Tapered Copper Window Boxes provide the ideal contrast against bright white siding. And the whole presentation pops beneath a noteworthy red roof. And the prize goes to: “A Cheerful Hello” by Joe McGarvey. This green thumb knew what he was doing with texture and color, layering in dimensional vine and floral combos. And making the whole display possible is two affordable railing planter boxes – beautiful and budget friendly. Couldn’t be any better if we’d dreamt it. Our winner is “Marvelous Mandevilla” submitted by Joanne Ahern. Can you believe this was once an unremarkable greenhouse riddled with exposed valves and eyesores? Joanne really outdid herself using a pair of window planters and cleverly placed mirrors to finish her space off in gorgeous fashion. Sweet, sweet curb appeal is the real winner in this category. Along with contestant Stefanie Meyers and her “Summer of Abundant Colors” entry. Talk about a transformation! 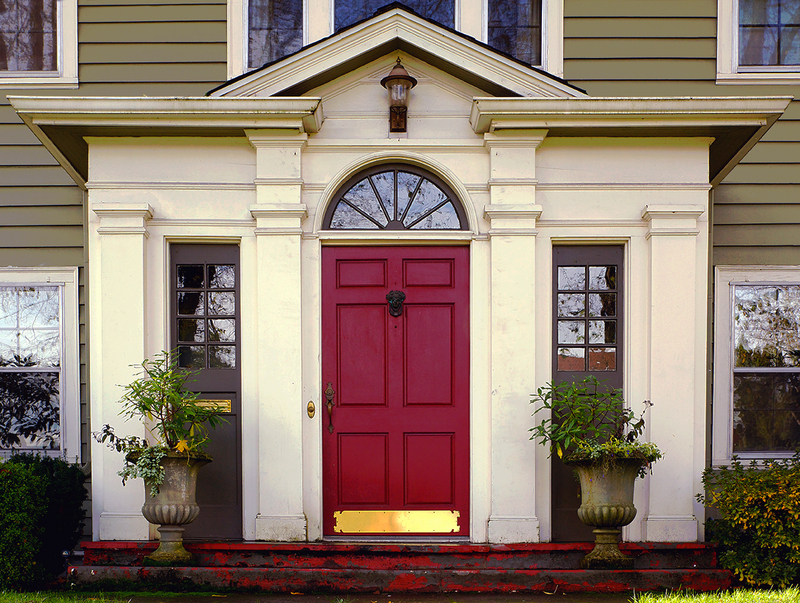 This clever homeowner used our Presidential Vinyl Window Boxes in red to match her front door. And by adding flower arrangements for shade she capitalized on a tricky environment, resulting in a spotlight on her light grey home’s exterior. You Could Be A Winner in 2014! All you have to do is enter by uploading photos onto the contest website. This year we will feature three exciting categories of competition. Along with bragging rights, winners will receive garden-centric prizes to delight their taste for outdoor living. Let the container gardening games begin! https://blog.hooksandlattice.com/wp-content/uploads/2014/05/winner2-1.jpg 1224 1632 Lindsey Pfeiffer https://blog.hooksandlattice.com/wp-content/uploads/2017/10/hl-blog-logo.png Lindsey Pfeiffer2014-05-12 10:30:032014-05-12 10:30:03Results of the 2013 Window Box Contest Are In!